The Canadian Championship has offered up cruel and unusual punishment for the Vancouver Whitecaps over the years. Wednesday night was no exception, as the Whitecaps had a crucial win snatched from them in the final seconds of the first leg final against Toronto FC. Vancouver overcame a red card by Felipe in the 45th minute, forcing them to play down a man for the entire second half, to score the go-ahead goal. Second-half substitute Erik Hurtado scored the marker in the 84th minute, which looked like it would stand up as the winner. The Whitecaps cruised through most of the additional five minutes added on, poised to take a 2-1 lead back to Toronto next week. That’s when the cruel and unusual part kicked in. TFC captain Michael Bradley sent a long ball into Jozy Altidore, who headed the ball into space in the box. 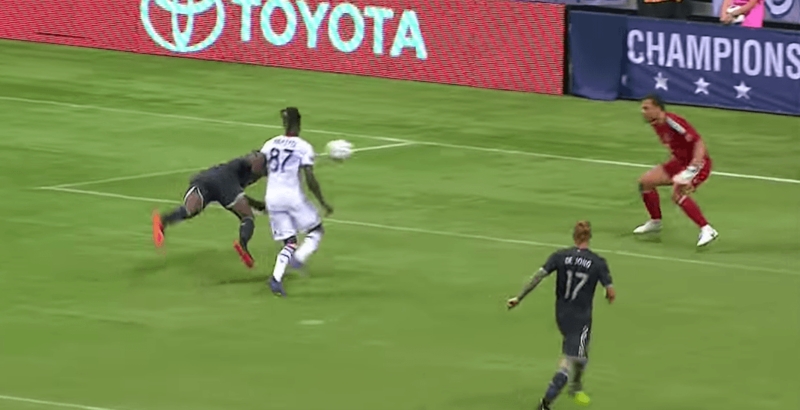 With Tosaint Ricketts on his tail, Whitecaps defender Doneil Henry dove for the ball in desperation. He headed the ball into the back of his own net on the final play of the match. The goal silenced the crowd, surely giving everyone flashbacks of Will Johnson’s dramatic goal to steal the Canadian Championship for TFC at BC Place in 2016. Kei Kamara and Jonathan Osorio also traded first-half goals in the 2-2 draw. Luckily for the Whitecaps, they’ll get another chance in Toronto on Wednesday next week. A win (or a draw with 3+ goals) at BMO Field would give the Whitecaps the Voyageurs Cup. A loss or a draw with fewer than two goals would give the championship to Toronto, because of the away goals rule.